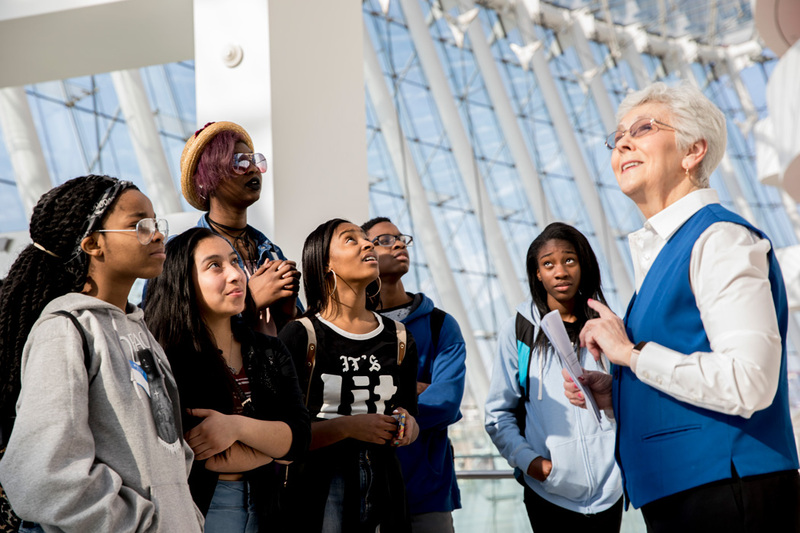 As a non-profit organization hosting more than 300 performances each year, the Kauffman Center for the Performing Arts relies on a core group of nearly 600 active volunteers who ensure patrons have a positive experience. Kauffman Center volunteers fulfill many important tasks, interacting and connecting with people of all ages and backgrounds. This dedicated group is a valuable resource in supporting the performing arts. Volunteers serve across the organization in a wide range of roles at performances, including as ushers, greeters, ticket takers and coat check attendants. They also support administrative efforts throughout the work week. Volunteer efforts save the Kauffman Center more than $1.4 million annually. 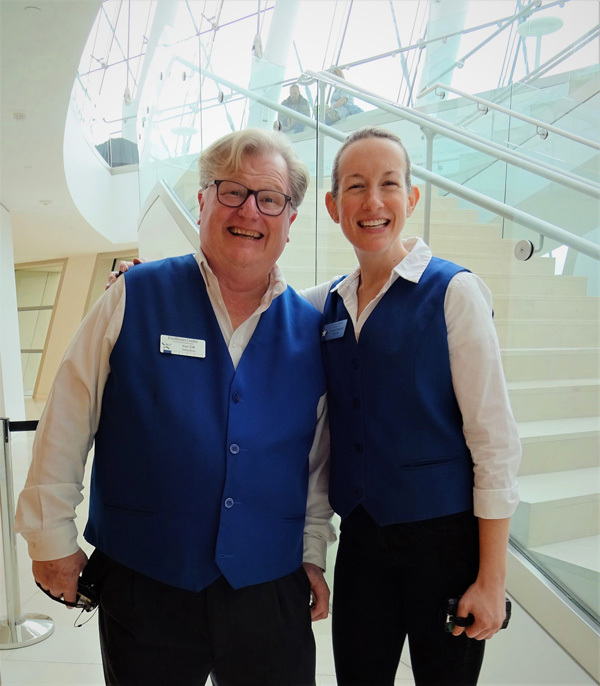 “Our team of hard-working and dedicated volunteers serves as the backbone of the Kauffman Center patron experience. Volunteers maintain a welcoming presence and see to the comfort of more than 400,000 visitors annually. 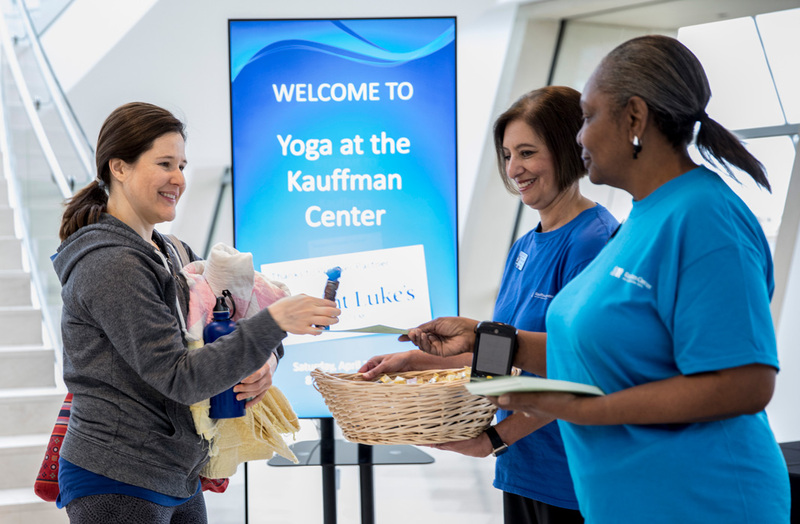 We are proud of our volunteers’ efforts to make the Kansas City community feel welcome at the Kauffman Center,” said Paul Schofer, Kauffman Center President and CEO. Since the Kauffman Center opened in September 2011, more than 2,300 volunteers have served there. In the 2017 – 2018 season, volunteers contributed 56,507 hours during 16,147 shifts to make 403 performances and events —including an incredible 51 performances in the month of December alone — possible for 475,000 patrons. Volunteers help create unique experiences that surprise, delight, entertain and educate tens of thousands of people each year in this iconic venue. From all different backgrounds, cultures and professions, most do not have customer service experience. What they do all have in common is that they are friendly, willing to learn and have a deep love of the arts and the Kansas City community. Volunteers receive an up-to-date handbook every season and can take advantage of training opportunities throughout the year. Training includes the basics of ushering, a comprehensive look at the latest safety protocols and the Kauffman Center’s patron service philosophy. “As a Kauffman Center volunteer, my life has been enriched culturally and socially. I appreciate and value being a part of a world-class organization that promotes the arts and offers diverse performances, so there is something for everyone to enjoy,” said Libee Daniel, a volunteer since 2012. 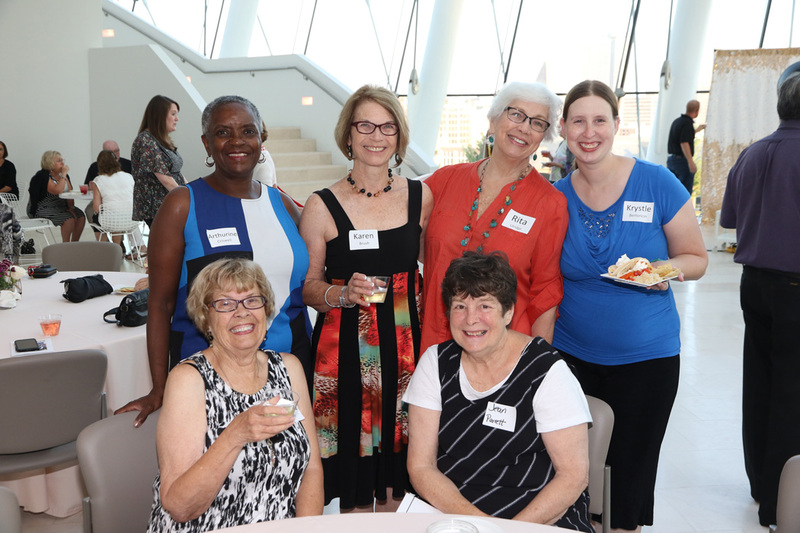 This outstanding group of people is celebrated annually at the Kauffman Center’s Volunteer Recognition Event where they are offered special treats, social activities and an awards ceremony attended by Kauffman Center staff and board members. Events are scheduled round-the-clock including daytime matinees, evenings, weekdays and weekends, providing volunteer opportunities to fit every schedule. To learn more about the Kauffman Center’s volunteer program, visit kauffmancenter.org.